There is some debate online as to whether online friends are real friends. Yesterday I attended my second event. I was greeted with hugs and kisses and genuine compliments from people who I have only really seen on ‘screen’. I recognised faces and straight away associated the real live people with the beautiful bloggers that I know from reading about them online and swopping comments on Facebook and Twitter. All bloggers are brave. We write about ourselves, our thoughts and our lives. Bravery deserves respect and I know that the bloggers in the network and beyond respect each other. We are all at different stages of our lives, and I was so humbled to realise how many people were actually reading my blog and knew about my journey. I blog because I love writing and I feel like I have stories to tell. I think this is true of so many bloggers. And many of us pour our hearts out to our online readers, who kindly come back with comments, on the blog or on facebook. Yesterday was fabulous. Gorgeous venue at the G Hotel, my very favourite hotel, lots of sparkle and a beautiful welcome. Food was yummy. And the glamour of the ladies and gents was top class! Everyone had made a real effort to celebrate this very important 1st birthday party. The most fabulous part of the day was the real warmth and obvious friendship around the room, and I know that many people had not met in ‘real life’ before. In this very special blogger network there is no judgement, only encouragement from a very nice bunch of people. Being part of the network has given me the kickstart to get my blog going, and to start writing my book. There is going to have to be a part 2 to this post because I haven’t even started on the motivational speakers, the amazing people I met at the exhibition tables, the goody bags and most of all the most fabulicious Saibh and Sinead. Tonight I will read a few blogs before bedtime and know that my friendship circle is bigger and richer because of ITWBN. I cant wait until I’m blogging long enough that i get to attend these events!! I started my blog just at the end of last year. So far I have found the blogging community to be very supportive. It’s very much about sharing and helping each other out. I’m really enjoying it. But I’m thrilled to have finally connected with an Irish blogger and hope to make lots more new Irish blogging friends. 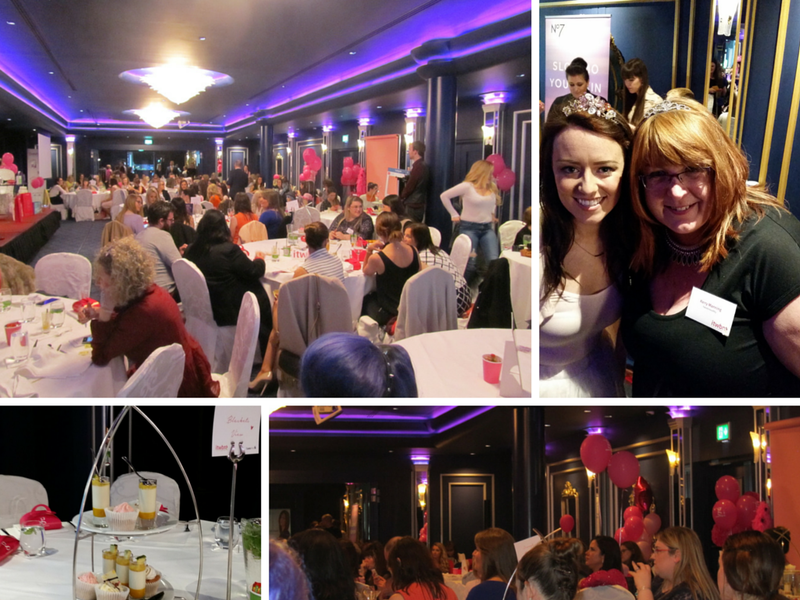 And delighted to learn that there is such a thing as an Irish bloggers conference. Happy days! !